For user geo location I am using here Simple Visitor Geo Tracking System. Please visit to this link and install it on your server. After that create a PHP file show_map.php and copy n paste below code in it. Replace database credentials and Google API key with yours. 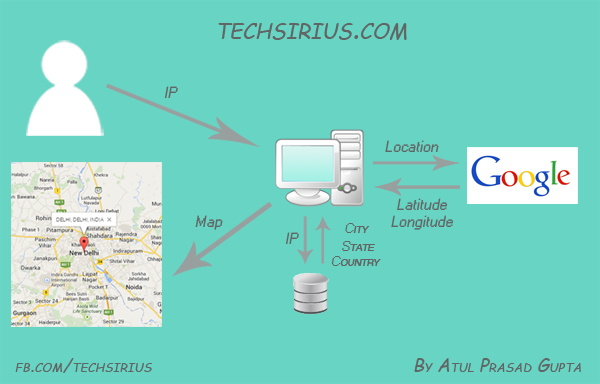 Make sure that you have successfully installed Simple Visitor Geo Tracking System and it is running. Now create show_map.html and copy n paste below code in it. Everything is set. Open show_map.php in your browser and watch your location in Google Map.